Join AJF on Tuesday, November 13, for an exclusive uptown-downtown tour of the very best of NYCJW. This day perfectly captures the spirit of NYCJW: in this glorious city, jewelry is everywhere! In one day, you will tour the highly anticipated exhibition Jewelry: The Body Transformed, visit the studio of a New York-based jeweler, and hear about three great exhibitions curated exclusively for NYCJW, not to mention have breakfast with renowned collector and educator Helen Drutt as you preview the exhibition. All of this is possible only during NYCJW! NYC Jewelry Week is NYC's first and only week dedicated to promoting the world of jewelry. 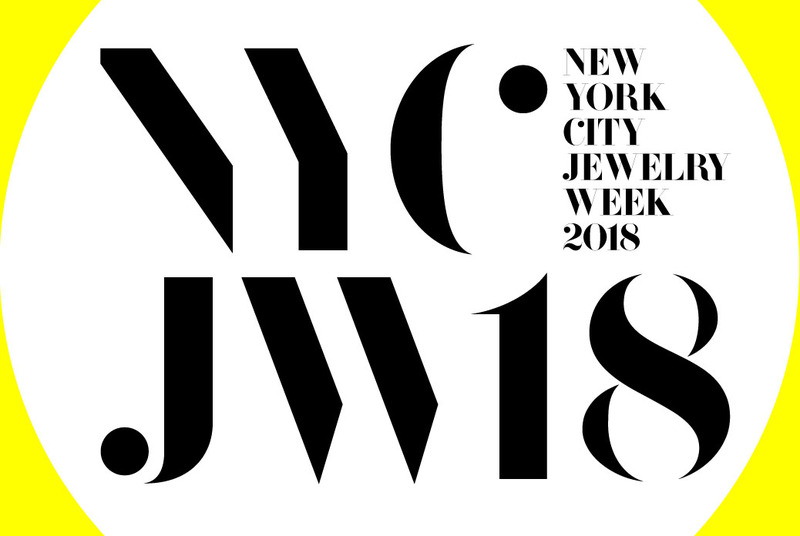 Focused on educational and innovative New York-centric programming, NYCJW features exhibitions, educational lectures, explorative workshops, exclusie tours, and unique collaborations with the best and the most influential businesses, brands, jewelers, artists, and designers throughout NYC. 4:00–4:45 Tour the exhibition The Kinship Between: American Women, co-curated by Mark McDonald and Sienna Patti. Explores the work of three leading female American mid-century studio jewelers, Margaret de Patta, Ruth Roach, and Betty Cooke, and three important female contemporary jewelers. At Jewelry Library, 1239 Broadway, between 30th and 31st Streets. 5:00–6:00 Wine reception and meet the artists and curators of Loud and Clear and Parallel Lines at Maison Gerard Gallery, 53 East 10th and 49 East 10th. Breon O'Casey, A World Unknown: 1983-2003: Breon O'Casey, a well-respected British artist, son of Irish playwright Sean O'Casey, made his initial reputation as a jeweler before he fully concentrated on painting, printmaking, and sculpture. His works are in major international public and private collections, including the Schmuckmuseum, Pforzheim; The State Hermitage Museum, St. Petersburg; Tate Britain, London; Victoria & Albert Museum, London; Goldsmiths Hall, London; Los Angeles County Museum of Art; Philadelphia Museum of Art; and the Museum of Fine Arts, Houston. 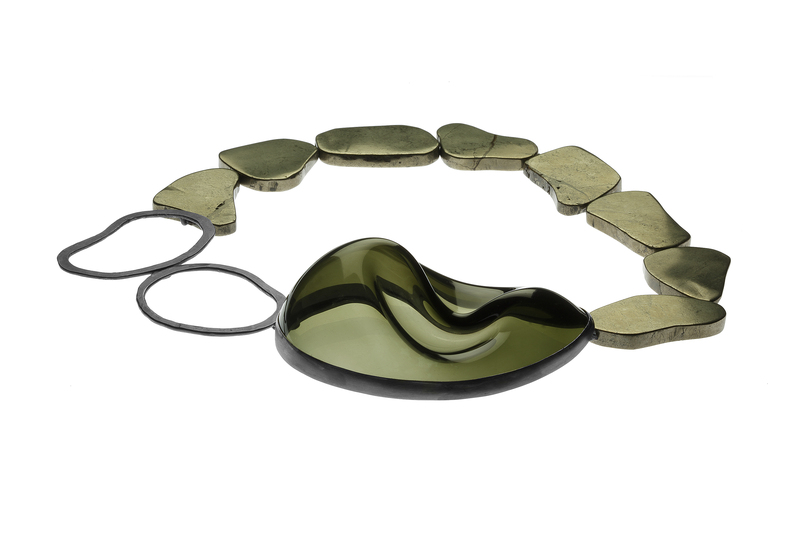 Jewelry: The Body Transformed: What is jewelry? Why do we wear it? What meanings does it convey? Opening November 12 at The Metropolitan Museum of Art, the exhibition Jewelry: The Body Transformed will traverse time and space to explore how jewelry acts upon and activates the body it adorns. This global conversation about one of the most personal and universal of art forms brings together some 230 objects drawn almost exclusively from The Met collection. A dazzling array of headdresses and ear ornaments, brooches and belts, necklaces and rings created between 2600 B.C.E. and the present day will be shown along with sculptures, paintings, prints, and photographs that will enrich and amplify the many stories of transformation that jewelry tells. The Kinship Between American Women: Curated by Mark McDonald and Sienna Patti, The Kinship Between will feature original vintage pieces by three mid-century jewelers: Margaret de Patta, Ruth Roach and Betty Cooke and new work by four contemporary artists: Räissa Bump, Noam Elyashiv, Rebekah Frank and Gabriella Kiss. The show explores shared aspects of their craft as metalsmiths and the kinship between their ways of working and their design process as well as their shared use of form and material. The exhibition will also highlight the unique kinship between maker and wearer. Original design drawings and proposals to clients will be on view as well. Loud and Clear: Voices from the Empire State: New York City is the beating heart of the Empire State. The show's theme is New York itself, the polyphonic crossroads of cultures that dominates American art. New York concretizes the contradictions of American life—rough beauty, cacophony of cultures, energy and ambition, fizzy passions, poetic and heartbreaking vistas. The sounds of New York punctuate life on the street and contribute to a sense of movement through space and time, illustrating the literal journey that artists have made to get there, and the figurative one they make through their work. The artists on show have been selected because they are distinguished studio jewelers living and working within 100 miles of NYC. They range in age from 20s to 60s, and their national origins span the globe. Their work ranges from classical goldsmithing to Limoges enamel to mixed media. They consistently strive for the highest levels of craftsmanship, quality, and content. Featuring: Lynn Batchelder, Jamie Bennett, Klaus Burgel, Pat Flynn, Tom Herman, Reiko Ishiyama, John Iversen, Sergey Jivetin, Alex Lozier, Darcy Miro, Jonathan Wahl, and Kiwon Wang. Parallel Lines: Considering discipline as a result of culture, language, and geographic and social outcome within a field of activity, this group of Israeli women artists examines the shift in their practice, and thus discipline, following re-arrangement of their place of living, place of creation, and the cultures they have taken upon themselves to work in. Featuring Naama Bergma, Dana Hakim, Noga Harel, Vered Kaminski, Einat Leader, Tamar Navama, and Ruta Reifen. Curated by Tamar Navama and Naama Begman.